A brief musing for you today. 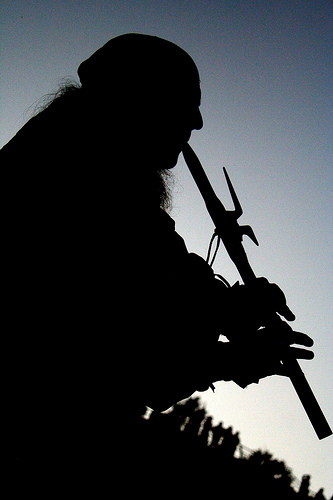 I have been wondering if those of us with certain talents can manifest our desires much more quickly if we employ standard manifestation practices while participating in our talents. I am gifted with artistic abilities, over the years I have started to notice a strange peculiarity. If I draw or paint a self portrait of myself in a certain place I want to be, I would find myself in that position. About one year down the line. For instance, if I draw myself with certain psychic abilities (exaggerated for artistic representation) I will receive them. I could now draw myself surrounded by wealth, and I believe I would receive it. It has dawned on me through the research of others that when we focus, we produce PSI (psychic energy) for want of a better word. This focus coupled with an imagined outcome, visualization, will create that outcome. Drawing or painting oneself in a certain future outcome will not necessarily work for everyone. If you are talented in a certain area, such as writing then you could sit down and write a short story, in free hand of what you want to occur, while writing see yourself in that situation, fold up the story and seal it with a wax seal, maybe even draw a simple sigil on it. In time your outcome will begin to be manifest. A musician could write a song about their desired outcome and play it, this would be manifest. I was speaking to a gentleman on a forum who couldachieve this using a native American cedar flute. As you can see there is a definite theme related to talents/interests and manifestation, it’s definitely worth a try. 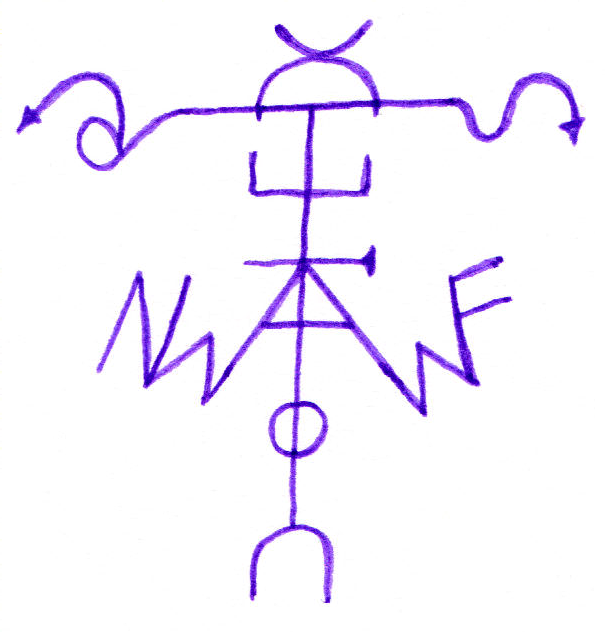 Sigil magick is the art of creation using nothing more than an intention drawn in the form of a sigil. With sigil magick we can manifest our intentions with absolute precision and success. In this article, I am going to share some information with you on sigil magick and show you how to put it to use in your daily life. To create a sigil you must first know exactly what it is you want to occur. 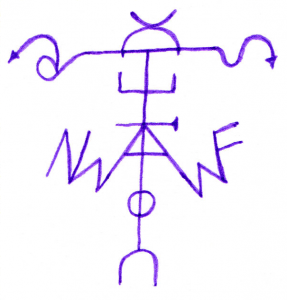 In this example, I have chosen to draw a sigil which will help me in my financial trading. You must now create the statement of intent, this follows a number of set rules. You should word the statement of intent as if it has already happened. This will manifest the reality to your experience. Some mages overlook this and tell you to manifest your will or desire. Manifesting the will or desire only creates more of that. In order to be successful we bring it to our present. To show you an example, I wanted to increase my success in financial trading, so I went with the statement “I am now a successful financial trader”. This statement brings my intention into the present. It is no use writing an intention that says “I desire to be a successful financial trader”, or “I will be a successful financial trader” as these last two will never bring the intention into reality as they are focused solely on a future scenario and state that I do not have that in my reality. It can be tricky to understand the formation of the written intention to begin with, but read it through a few times, and you should begin to see the logic. We start with the first letter, I, and read along until we find repetitions of the letter I. In this case, the repetition of I resides in FINANCIAL, so we remove them, and it becomes FNANCAL. These letters will now form your sigil. When drawing your sigil you should afford a bit of creativity and make it personal to you. I have used a purple ink as this utilises the planetary energy of Jupiter, whose properties will imbue this sigil with success and wealth. You could use whatever colour ink you like. When drawing this sigil, I took the letter’s T and I and formed the centre of the sigil, a base to hang all the other letters off of. From there I tried to make it look as good as possible and include a bit of creative flare. I am quite pleased with the results, but not all of my sigils have looked as good, they have worked just as well none the less. The next image shows you a breakdown of the sigil and where each letter resides. As you can see you can form a part of a letter from another so that the amalgamate. Try not to make them look too much like letters, instead allow yourself to use a bit of creative licence. You could use lowercase and uppercase letters even use a different alphabet if you wished. The above image shows where each of the letters are located. This may not fall into the system of some mages, but it is this particular sigil magick system which I have found to work successfully over the years. One discrepancy is that D and C for example, could become just D as C is inside D, albeit mirrored. I like to keep the letters intact as much as possible rather than condensing them even further. However, I do make use of certain segments of a letter to make another, for example N and M in the above image. Once you have constructed your sigil, according to tradition you should aim to charge it in some way. I generally charge the sigil using visualized intention while drawing them, I will then flip the finished drawing over and draw an invoking, or banishing pentagram depending on the type of sigil magick you are conducting, and draw the planetary symbol of the planet which is best suited to aid the outcome within the middle of the pentagram, the planet in this example being Jupiter. Sigils will work well on their own, but to give them an extremely simple boost, place a quartz crystal over each one. This will provide a vessel for the sigil thought form and allow it to go about its business much quicker. You may also like to place the sigil and quartz onto an orgone charging pad and place under a pyramid for increased manifestation power. I personally use this method alongside a radionics operation with the sigil on the trend plate along with a written statement in true radionics fashion. This combination is potent to say the least. Finally, if your mother tongue is not English, then write the statement of intent in your native language and alphabet. You will find the results are much more powerful and personal to you as you have a deeper connection to the sigil. 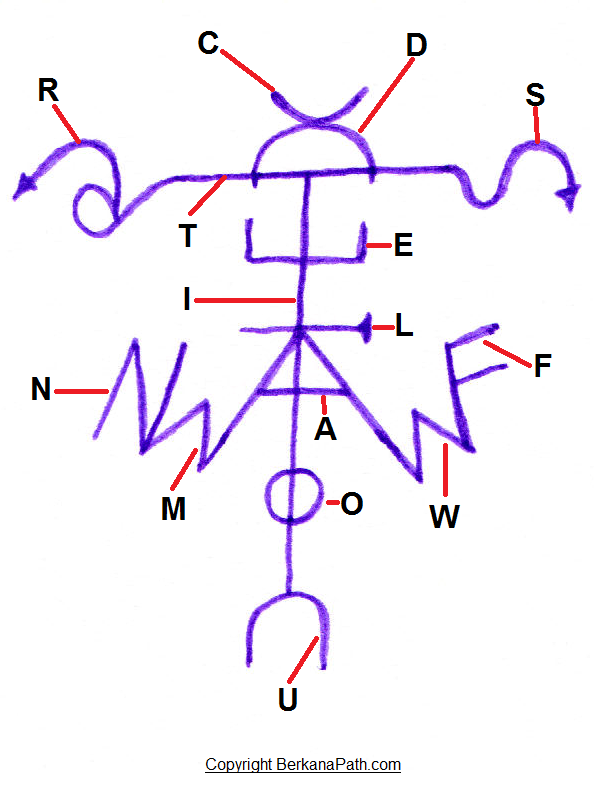 As you can see from this article, sigil magick may appear complex at first, but once you get down to the details it is fairly easy to accomplish. The best thing about sigil magick is the power it can afford you in any situation. I still amaze myself by what I am able to achieve (world changing events) using a pen and a piece of paper. The pen really is mightier than the sword. Can negative ions have a beneficial effect on manifestation? They sure can. First we will look at the health benefits of negative ions. There exists in common supply two types of ion in our day to day world. The first which we come into contact with on a regular basis is known as a positive ion. These ions are a part of an electromagnetic field, most of this electromagnetic smog is from our household electricity supply in the region of 50-60 Hz. While in abundant supply the positive ions have no real benefit when it exceeds the quantity of negative ions. Due to the positive ions nature, it will seek to take the charge from other ions. A good source of ions is you. With all the positive ions emanating from our modern machinery it can literally drain you of your charge. Let’s take a look at negative ions. Negative ions are found in abundance in nature, these are created by running water, wind, and lighting strikes, to name a few. It is said that negative ions can have a beneficial effect on the body, enhancing hormone production, boosting the immune system, and creating a feeling of general well being. Unless you spend a large proportion of your time outside you will generally be negative ion deficient, due to the overload of positive ions from our electronic gadgets. To counteract and balance the excessive positive ions in the home, we can either install a small water feature, or my preferred choice an electronic negative ion generator. 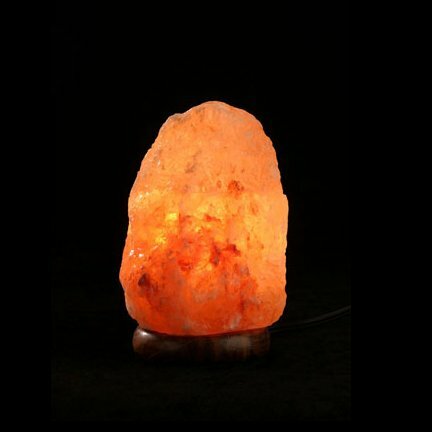 These come in many forms, from large, powerful industrial sized units to small rock salt lamps. The picture attached to this article shows an example of a rock salt lamp. Traditionally candles were used to power the device, but using modern technology, we can use an incandescent lamp to boost the output of negative ions. I need to do some research into whether a CFL bulb would work just as well as an incandescent. For all the negatives associated with CFL, they may be ideal for our ion application due to a large EMF output, which will convert the positive ions into negative via the rock salt. For all of their health benefits how can negative ions help manifestation? It has been claimed that negative ions also affect our alpha brainwaves creating a much more balanced frame of mind. It is not impossible considering that an external electrical charge is affecting our internal electrical charge. This increased focus from the harmonised alpha waves is a perfect state to be in for visualisation and manifestation of intention. In this frame of mind, we will act as a perfect conduit and antenna for our intentions to be dispersed into the aether. As you can see from this short article, negative ions are incredibly beneficial, and should be looked at in further detail. I would highly advise getting hold of a negative ion generator for the room in which you perform your intention experiments or manifestations. It would even be ideal for an office. It has been proven to boost moral and increase work rate, you can’t go wrong. What is pyramid power? The term was coined in the early seventies and a number of authors have tried to lay claim to its inception. Pyramid power refers to the mystical properties of the pyramids at Giza in Egypt, In particular the great pyramid of Cheops. It has been proven by a small group of scientists and individuals that a pyramid following the same construction to a scaled down size of the great pyramid in Egypt will exhibit similar paranormal effects of pyramid power as its larger counterpart. Some strange effects attributed to pyramid power include its ability to preserve food and mummify fruit and meat. It has also been said that pyramids can preserve razor blades, and generate life force, or chi. Within the metaphysical community, it is claimed that the pyramid can act as a vessel for a thought form keeping it active and charged until it is called upon. Russian scientists and researchers have produced a large scale pyramid power experiment involving several full scale fiberglass pyramids, the largest of which is about 144 feet high and weighing nearly 55 tons. The aim of the experiment was to look for the effects of pyramid power and scientifically verify it in a number of key areas such as ecology, biology, chemistry and physics. The results were incredible. After several trials, they confirmed that the pyramid power was able to boost the immune system and fight bacteria with greater potency. A water solution which had been treated in the pyramid to alter its properties was given to prisoners and a marked reduction in their aggression was noted. The same water was also given to drug addicts, a significant improvement in their fight against their addiction was recorded. An agricultural study was carried out on the effects of pyramid power on seeds. After placing seeds within the pyramid from varying periods of one to five days it was found that when the seeds were sown, they could withstand drought much more effectively than their controlled counterpart. An increase in crop yield was also noted anywhere from twenty to a hundred percent depending on the type of seeds used. A pyramid power experiment was conducted to analyse the effects on crude oil yield. A pyramid complex was built on the site of an oil well in southern Russia. After a short amount of time, it was observed that the production at the wells increased due in part to the reduction of the viscosity of the oil. It was also found that chemical composition of the oil was altered. A number of other studies on the effects of pyramid power were carried out some of these showed that the level of radiation decreased when a radioactive material was placed inside the pyramid. It has also been shown that the amount of seismic activity is reduced in the area of the pyramid. The level of toxicity in substances such as poison has been reduced. spending time in the pyramid. The ozone layer above one of the pyramids was observed to have started to repair itself a short time after construction. Finally, a team of radar analysts had also seen a large column of ionised air emanating above the pyramid which could be related to the healing ozone layer. As you can see from the research carried out, pyramid power can be an exceptionally powerful energy and can be utilised to achieve a number of seemingly miraculous outcomes. You should use pyramid power in your own experiments and see the benefits for yourself.